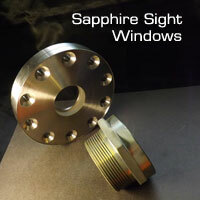 Precision Sapphire Technologies (PST) is a premier source for low cost, precision synthetic sapphire products. Synthetic leuco-sapphire growing, shaping, grinding and polishing is our expertise. 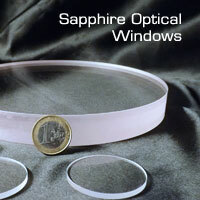 Our custom synthetic sapphire products are designed to meet the specifications and tolerances of each customer. 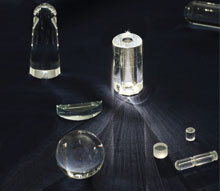 PST has the capacity to manufacturing synthetic sapphire products in a range of sizes, from micro ranges as small as sub mm up to the macro size of 200 mm x 200mm. PST's synthetic sapphire parts can be grown in C-axis, A-plane, R-plane, random orientation and custom orientation. In addition, our synthetic sapphire products are available near net as grown or ground and polished to meet our customer's needs. All of our synthetic sapphire products undergo rigorous inspection by our QC department prior to shipment. We insure quality products delivered on time. 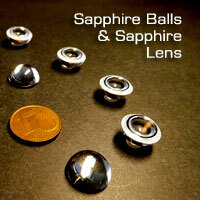 We offer high quality synthetic sapphire at very competitive prices.